for the Book Club discussion to be held later, details below. 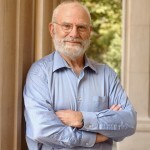 Oliver Sacks is a man obsessed with migraines. He practically inhabits them. His book “Migraine”, originally published in 1970 and revised in 1992, is a self-confessed “meditation on the nature of health and illness.” Reading it, you get a sense of hurtling down the rabbit hole with Sacks as he explores every nook and cranny of a subject that clearly fascinates him. Luckily for Sacks his mother was not only a Doctor but a migraineur so was quickly able to diagnose him. Thus the fascination, primarily with visual aura, began. Reading the book I wondered what it would be like to have Sacks as my migraine specialists. I was comforted by passages such as: “There is one cardinal rule: one must always listen to the patient. For if migraine patients have a common legitimate second complaint besides migraines, it is that they have not been listened to by physicians. Looked at, investigated, drugged, charged. But not listened to.” (234) Amen. However, his ‘mind-body’ approach, which I’ll describe below, would I’m afraid put me constantly on my guard; it’s also what made this book a troubling read for me. From 2007 to 2012 Sacks was Professor of Neurology and Psychiatry at Columbia University Medical Centre (he is currently Professor of Neurology at NYU Medical Centre) and this dual approach – clinical and psychological - pervade the book. He views migraine as “part and parcel of the human condition” (xvi) and this subtle connection to mind-body dictates how he treats his own patients. In the Preface to the 1970 edition he states “Some patients I could help with drugs, and some with the magic of attention and interest…it now became apparent to me that many migraine attacks were drenched in emotional significance.” (xvii) It would be misleading of me to say that Sacks is suggesting migraines are psychosomatic (though Chapter 14 “Therapeutic Approaches to Migraine” did leave me slightly confused) – rather he views them as both “physical and symbolic events”. I’ll be fascinated to see if others interpreted this in the same way I did. I slightly wonder if this, Sack’s first book, is very much a product of it’s time, the 70’s. The flavour, tone and feel of the book is not at all similar to the many other ‘migraine guides’ I’ve read. Sacks is famous for his artistic writing style, in fact tomorrow the first annual festival of arts and ideas begins in New York City, a series called LiveIdeas, devoted to “The Worlds of Oliver Sacks.” His second book, “Awakenings” went on to become an Academy award winning film, staring Robert DeNiro and Robin Williams, that I remember sneaking into when I was 10! The book, “Migraine”, is divided in five sections, preceded by a brilliant Historical Introduction, Part I, “The Experience of Migraine” describes the form of migraine as experienced by patients and is littered with case studies, as is the whole book. I found these case studies to be the most fascinating elements of the book. Hearing about other peoples migraine journeys made me feel less alone and less of a freak! 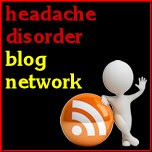 It’s in Part I that you’ll find a lot of practical information, i.e what happens during a migraine. Also note, Sacks uses the term “Common” and “Classical” migraine to refer to Migraine without and Migraine with Aura respectively. In Chapter 1 on Common migraine (without Aura) I underlined so many symptoms of which I and friends of mine suffer I now can’t actually read the text! For example, stuffy noses, vivid dreams, excessive sleepiness, mood changes etc etc etc. Part II “The Occurrence of Migraine”, discusses the circumstances which provoke migraine, and here is where you’ll find the usual list of triggers, though they’re not really listed as such. But there is a rather funny section talking about Allergies in which Sacks says poor patients will go to Allergists and after elaborate testing follow “impressive rules…avoiding dusts and pollens, changing the bed linens, exiling the cat”! (He then goes on the say less then 1% of migraines are explicable in terms of allergic sensitivities.) Part III “The Basis of Migraine” revolves around the mechanism of an attack both physical and psychological . Part IV “Therapeutic Approaches to Migraine” talks about the role of Psychotherapy and the role of medication and “recent advances in treatment’ – though be aware this was written in 1992 so now feels rather out-dated. But if you’re a migraine geek like me it’s quite interesting to see what was ‘in trend’ at the time. Part V “Migraine as Universal” looking at ‘Migraine Aura and Hallucinatory Constant’ and the book concludes with a fascinating historical appendixes. 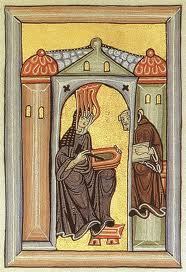 Appendix I is “The Visions of Hildegard” and for the first time suddenly made me wonder (despite having done an undergrad thesis on her) how she’d feel if she thought her visions could be explained as a medical phenomenon, and not as a miraculous gift from God? Another of the Appendix was three extracts from recommended migraine treatment from 1672, 1802 and 1892….which included “drawing some of the teeth” (305) along with a lot of blood and drops of opiumum. But interestingly, in 1892 “strong tea and coffee are popular remedies and occasionally give some distinct relief”. How far and yet how far still we have to go. Indeed, that was one of my overall impressions coming away from this book. And here was a man writing in 1970 (and by the way he apparently wrote this book in a 9 day burst) and how far have we actually progressed since then? And if you want to know about the medical history and treatment of migraine then this is the book for you. Overall, this book is not an easy to read, accessible guide to living with migraines. It does not have handy list of triggers, or an up-to-date list of current treatments for you to compare and discuss with your Doctor. It is much more, and much less than that. 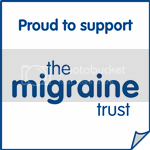 It is for the highbrow migraineur, the intellectual reader who wants to meditate on the philosophical, historical and mechanical nature of migraine. I normally consume books on migraine, and then dip in and out of them like reference books as and when needed. I must confess if this had not been the inaugural Book Club choice I might have given up on “Migraine”. I’m glad I didn’t, I don’t have Aura and a large part of the book is devoted to describing various types of Auras (including colour pictures). And I admire him for being one of (if not the?) first people to write a text book on migraine that was so sorely needed, even if his approach makes me a little uncomfortable. I think every migraineur, however, will be able to relate to the Foreword written by William Goody: “The common attitude is that migraine is merely a form of minimally non-disabling headache which occupies far more of a busy doctor’s time than its importance warrants”. Goody goes on to say that most migraineurs are told to “live with it” by Doctors “who hopes that he will not be on duty the next time the patient comes for advice." Whatever else, Sacks is clearly on ‘our’ side and has done much so further the general understanding of migraine and how it effects the lives of those living with this terrible condition. 3. Join in our incredible, life changing discussion! I was so bummed that I wasn't able to join in on the chat about this book! But unfortunately, I missed it because of a... migraine. Didn't see that one coming, huh? I haven't gotten through this entire book yet, but I fully intend to. I read a chunk of the history, but then skipped over a bunch because it wasn't holding my attention - though I was impressed to know how far the idea of migraine dates back. Part 1 though had my full attention. As I told Victoria, I've read Oliver Sacks before and am a fan of his work. I also think that all the scientific texts I read as an SLP student make it a bit easier for me to stomach, though I FULLY agree his writing can be quite dry at times. It was nice to know that Sacks was coming from a background where he himself had experienced migraine. This way you know he's not coming from a purely academic standpoint and can empathize with his patients as well as the reader. My book is all marked up with highlighter and pencil as I went through and marked up things I could relate to or have experienced and one section that really struck me (and actually led to a breakthrough in my studies of my own migraine) was the section starting on page 29 that talks about the resolution of migraines. Through keeping a migraine diary on my phone and just being more aware of how I experience migraine, I've been able to figure out that my migraines are terminated in one of the two ways that Sacks describes - either through: "its natural course" or "lysis". I've also discovered that when I have a migraine that is brought on by hormone changes (thanks uterus!) my migraine will ALWAYS resolve by lysis. It is not until I violently vomit (which is sometimes accompanied by crying) that I will start to feel better. These migraines are usually on the shorter end of my spectrum (more than 4 hours, but usually less than 8). I've taken to calling them "flash migraines" because the only warning I have before pain starts to set in is that I know it's a few days before my period. These migraines rarely give me an aura, and the pain tends to be more intense. In the case of my other "kind" of migraines, the pain can get as intense, but it's usually spread out for a much longer period of time. I've logged 12 hour migraines, 24 hour migraines, even ones lasting over 2 days. These will sometimes wane and make me think they've broken, but then come back with a vengeance. These are the migraines that "exhaust [themselves] and end in sleep". I've never been able to rectify my migraine through intense "crisis". Another thing that struck me is the statement that when you sleep after a migraine, there can be "a sense of extreme refreshment, and almost of rebirth". There have been many times when an intense migraine finally breaks that I suddenly feel more awake than I have in weeks. Unfortunately, it's usually at 3AM... I'm excited to get through the rest of this book. I have a feeling it's going to be something that I go back to periodically. I'm really excited to start the new book as well though! I was able to glimpse at some of the discussion last time, and I hope I'm able to join in on the next one! I just realized that I typed my URL incorrectly in the first comment. And that the SECOND comment somehow published from an account I didn't even know I had anymore? But that is a picture of me, so it IS me haha. In any case, the correct URL is included in this post. MIGRAINEUR OF THE MONTH: MISS APRIL!